Being a foremost organization in this industry, we are actively engaged in offering the finest quality range of Leather Journal. 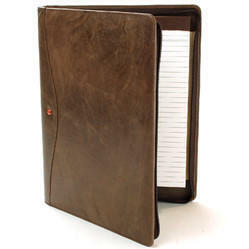 Relying on our expertise in this domain, we are engaged in offering Leather Journals to our respected clients. Leather diairies made of pure goat leather come embellsihed with a stone on top & a carving on the leather. 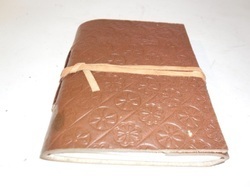 The diary is itself made of handmade paper. Backed by huge industry experience and market understanding, we are involved in offering a wide array of Custom Leather Journal to our valued patrons.